Exciting news! We have increased our cleaning service District-wide, seven days per week. As part of the TLCBD Micro Neighborhood Cleaning Program, we have identified six, smaller geographic areas within the District boundaries to be created as micro neighborhoods. Each micro neighborhood will have a dedicated TLCBD Clean Team Member everyday. Our goal under the new Micro Neighborhood approach is for Clean Team Members to pass a storefront, home, or business a minimum of three times per day, and to never be too far away from any location in the Micro Neighborhood. This focused attention will foster connection and pride and sense of safety among neighbors, potentially shifting negative behavior such as littering over time. As always, if you see cleaning issues that need urgent attention, due to health and safety concerns, please call or text the Clean Team Hotline 415-385-5490. After a successful TLCBD Assessment Renewal (currently underway), this initiative will become our standard service, and not a recurring fundraising need. Over the next several weeks, we will continue to be training team members under the new approach, and we look forward to working with you, the community, toward a cleaner Tenderloin. 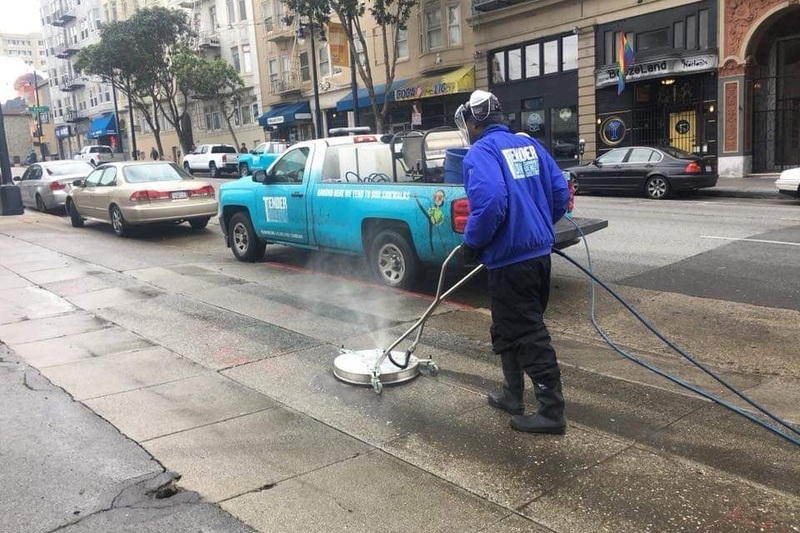 Are you noticing a difference in cleanliness on your Tenderloin sidewalks? Let us know what you think, contact us via online contact form, email at info@tlcbd.org, or by calling the office at (415) 292-4812. Leave a message with contact information and we'll return your call. This program would not have been possible without the support of SFOEWD, District 6 Supervisors office under Jane Kim, and the private support of Hilton Hotels, Discretionary Award from the Kenneth Rainin Foundation,Tilden Hotel, PAE Consulting Engineers, and more.